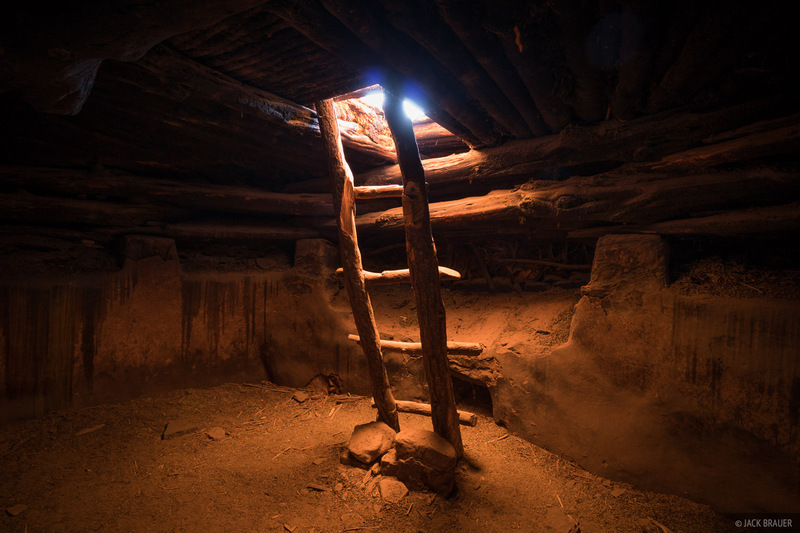 This Ancestral Puebloan kiva was discovered intact in the 1890s, but by the 1970s the roof was starting to collapse. Restoration efforts were undertaken to reinforce the roof so now visitors can go down inside. Photo © copyright by Jack Brauer.